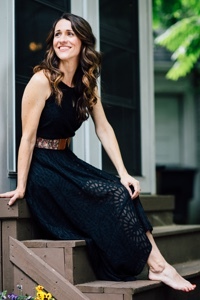 Jill Phillips is a Nashville-based singer-songwriter who got her start in the business after graduating from Belmont University in 1998. Her guitar based folk-rock sound combines with rich, insightful lyrics that deal with age-old topics in new and fresh ways. Her self-titled debut album on Word Records was produced by grammy-award winning songwriter Wayne Kirkpatrick (“Change Your World” recorded by Eric Clapton) also known for producing such artists as Amy Grant, Garth Brooks and Susan Ashton. After touring extensively with Caedmon’s Call and Bebo Norman, Phillips decided to step out and record her next album independently. Produced with Matt Stanfield (Plumb) and Andy Gullahorn, God and Money received critical acclaim and helped Phillips to be named CCM magazine’s reader’s choice for Independent Artist of the Year in 2002. In 2003 Phillips teamed with Fervent Records and released her third album, Writing on the Wall, a powerful collection of songs strengthened by the musical contributions of Andy Gullahorn, Matt Stanfield, Matt Slocum (Sixpence None the Richer), Stephen Mason (Jars of Clay), Bebo Norman and Andrew Peterson to name a few. Reviewer Michael Ciani calls Writing on the Wall Phillips’ “strongest album of acoustic folk-pop to date… Phillips' vocals are warm and rich, the writing is brilliant and the production is appropriately complimentary… undoubtedly one of the year’s best”. After releasing a specialty CD project in 2005 entitled Kingdom Come, Phillips released a new full-length CD in 2006 under her label St. Jerome Records called Nobody's Got it All Together. About.com gave this record it's highest rating of five stars and added, "The only down-side to this release is that I like it so much I am having a hard time writing about it. How many ways can I say, 'I love it!' without sounding redundant?" Phillips' next release, The Good Things, released December 2, 2008 and centers around themes of family, relationships and faith. "This record feels very personal to me", she says. "There is a song about marriage, a song for my children, a song about a lack of communication with a friend, things that are huge in my life but things I have never found a way to write about. Maybe it just wasn't the right time, but after the birth of my son in 2007 I felt this new urgency and passion to write about these things. Each opportunity I have to make a record is a gift and I really wanted to give this one my all". "In This Hour" is Phillips' newest album released in November of 2011. Working again with producer Cason Cooley (Katie Herzig, Derek Webb, Matthew Perryman Jones), Phillips continues to exhibit her songwriting acumen with some of her most moving and personal songs to date. The record was funded almost entirely through fan support on kickstarter and Phillips documented the process here. Christianity Today included "In This Hour" in it's Best of 2011 honorable mentions and noted that "Phillips' folk rock is laid back and gently paced, with elaborate string, guitar, and piano arrangements that serve as an excellent base for the lyrics". Jill is a mother of three children and still makes time for a steady traveling schedule with concerts and events across the country. She considers this to be one of the greatest parts of being a musician because it allows her to share her songs personally and meet great people from across this country and abroad. Jill also loves to cook for friends and family, visit the Outer Banks of North Carolina, and watch Meet The Press. 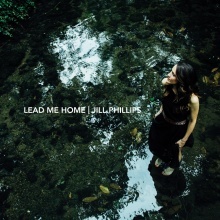 Order Jill’s new album, Lead Me Home! © 2019 Jill Phillips & St. Jerome Music. All Rights Reserved.